I’ve been on a very long hiatus when it comes to gaming. Recently I’ve been hearing a lot about new games coming up including Super Scribblenauts and Final Fantasy XIII. I really like Scribblenauts. Even though there are some glitches in it, it is still a really fun game. I love how you can use almost anything to your advantage. 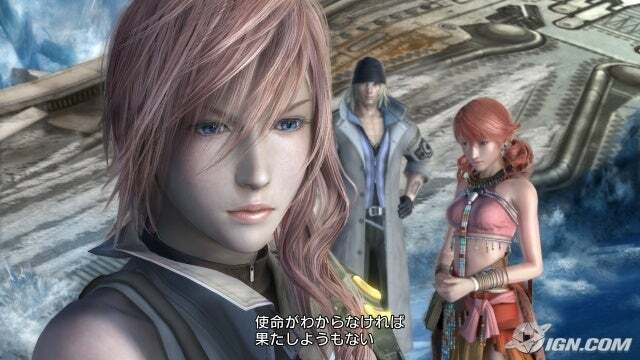 Final Fantasy XIII is really different from the other FF games from what I’ve heard. I’m really interested in trying these two games out. However, I’m without a 360 at the moment and I need to get one. I should also probably invest in a PS3 as well since they’re coming out with good games for it. I’ve seen DSP’s gameplay on YouTube for Heavy Rain. It’s a really interesting concept and I’m truly impressed with the way it’s set up. The story is not very complicated but it is very engaging. Even if you’re just watching someone play it, you get attached to the characters. Character development is really well done and you go through a range of emotions with this one. Ridiculous? You be the judge. AWESOME! I’m SO looking forward to ALL these 3 games you’re mentioning here! You know, I was just looking at my copy of it right now and I noticed it supports Nintendo Wi-Fi Connection. Do you have a Scribblenauts Friend Code? Maybe we could play or something 😛 Although I’m not sure what purpose the N.W.F.C. serves in that game, I still haven’t tried going online with it 😛 Have you?